"We believe our new genotyping array will underpin global barley breeding for several years to come"
The array is already offering opportunities for plant breeders to more efficiently identify and select for traits such as yield, quality and environmental resilience, assisting the development of barley varieties better suited to the needs of the brewing, distilling, food and feed industries. Professor Robbie Waugh, a research leader at the James Hutton Institute’s Cell and Molecular Sciences, and Professor in the University of Dundee, said: “Barley is ranked fourth grain crop in the world by the UN's Food and Agriculture Organization in terms of production volume, and second only to wheat in the UK. Its major uses are as animal feed, for brewing and distilling, and to a minor extent, human nutrition.”. “Molecular diagnostics are now widely used in the development of new varieties of crop plants, ranging in scale from many thousands to characterise parental lines, to small numbers tagging specific traits and allowing them to be easily followed in crop breeding populations. “Our newly-developed 50K Illumina Infinium iSelect genotyping array includes all of the diagnostics that were on the previous platform, allowing easy integration of existing and ‘to be collected’ data. 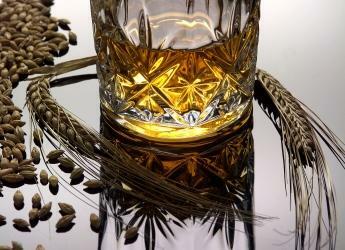 We believe it will underpin global barley breeding for several years to come”. James Hutton researchers Micha Bayer, Paulo Flores, Pete Hedley, Malcolm Macaulay, Luke Ramsay, Joanne Russell, Paul Shaw and Bill Thomas, along with Martin Ganal and Joerg Plieske from TraitGenetics GmbH in Gatersleben, Germany, made key contributions to the development of the array. The International Barley Hub is an initiative of the James Hutton Institute and the University of Dundee which seeks to create a unique, integrated, open platform for the translation of barley research into economic, social, environmental and commercial impacts for the breeding, farming, malting, brewing, feed, food, health and related industries, and was recently awarded funding through the Tay Cities Deal. For more information on the Hub, visit its project page. Paper: Development and Evaluation of a Barley 50k iSelect SNP Array, Frontiers in Plant Science, https://doi.org/10.3389/fpls.2017.01792.